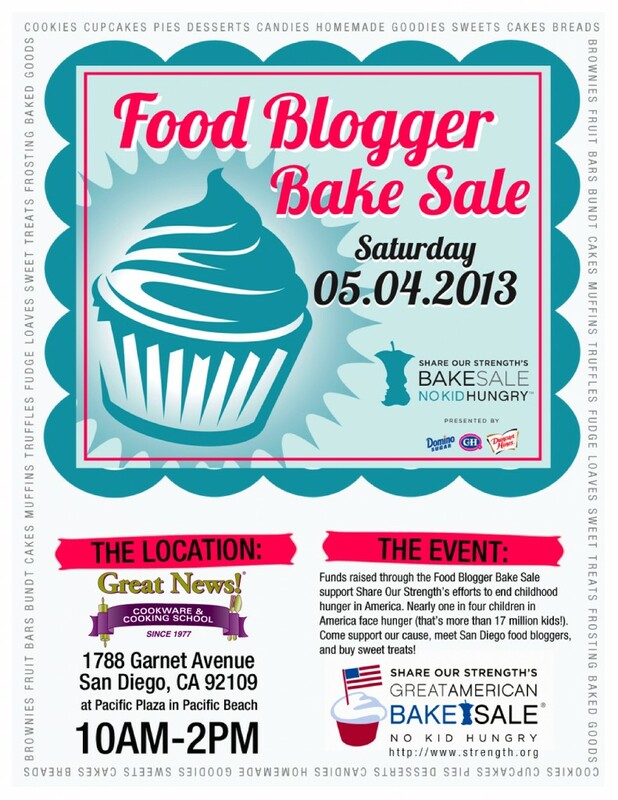 My colleague at San Diego CityBeat, Marie TranMcCaslin, author of the Wandering Appetite column and the Meandering Eats blog (www.meanderingeats.com) is involved in the superb San Diego Food Bloggers Bake Sale charity fundraiser. As Marie said, “It’s one hell of an event and we raised over $3000 last year for Share Our Strength’s No Kid Hungry campaign.” This year’s Bake Sale is scheduled for May 4, 10 a.m. to 2 p.m. at Great News cookware & Cooking School, 1788 Garnet Avenue, San Diego, CA 92109. Join us there.